If your main goal is to establish a positive ROI, you will want to target the people who know you or your brand. People, in general, are only going to buy from those people they know and trust. It takes a leap of faith for them to buy from a stranger or a strange brand. If people are familiar with you from a website, fanpage, or email, it is best to begin targeting them. 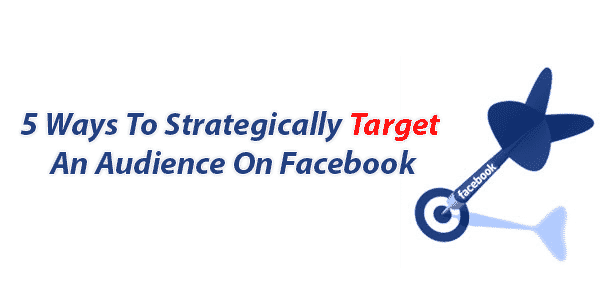 Below are just a few popular ways to target individuals on Facebook. By this point in the game, you have heard that the money is in the list, and it is absolutely true. While you value your list, you just have not been building it up with no thoughts of monetization. You want to put that list to good use and earn a sizeable income off of it. Facebook has the ability to allow you to input an email list and start servicing your subscribers with ads. These are people who are already familiar with you and your brand. This is as easy as it gets! Once you upload your list of email subscribers, Facebook will begin searching through profiles to find your target audience. For example, if you have a list of about 1,500, Facebook will place your ad in front of half that number. 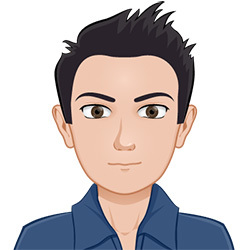 You can place any of your current ads or create one specifically for this custom audience. If you like to consider yourself a ninja marketing expert, retargeting would be right up your alley. It is an excellent way to place ads in front of visitors who have already visited your website. It is a tad bit sneaky but extremely successful. All that is needed is to place the Facebook pixel in your website code, which allows Facebook to track all the visits to your website. Once those same individuals visit Facebook, the pixel will fire and your ads will be shown to them. Think of retargeting in this way. Evert morning you drive to work past the same bakery. After seeing and smelling it so many times, eventually, you are going to stop in for some donuts. The same holds true online, after seeing your ad som many times, they will eventually buy. Is there any reason you can think of as to why you would not target people who have liked your fanpage? They like your page, they comment on your posts. Yet so many marketers ignore the golden opportunity that sits there. You want to place ads in front of these people on a daily basis. This strategy is a golden opportunity for you and your brand. As you have seen there is real power in marketing to individuals you know. Now it is time to start marketing to people who look and think like the people you know. Sounds confusing? It might, but with Facebook, it is actually rather easy. When you begin marketing to people who may have a great deal in common with your existing fans, customers, and leads, the process becomes simplified. In fact, Facebook has made the entire process streamlined by allowing advertisers to target specific lookalike audiences. This is one of the more advanced targeting strategies that allows you to find other people who have similar characteristics as your current client list. The ad that you create will be placed in front of those who think in a similar fashion as your clients. Another powerful strategy that you may want to implement is creating a custom audience that has been derived from your leads. This will allow an ad to be placed in front of those people who will most likely click thru to the offer. You already have a group of fans who enjoy you and your business. Would it not make sense that similar people to these fans would enjoy it as well? It is a simple way to grow your business without much thought, pain, or cost. Now it is time to get more advanced and combine the lessons you have learned. There are going to be some businesses where your customers have little to nothing in common. Facebook may be able to go out and scour their database and bring back similar customers, but they are not going to be quality leads. This is due to the fact, that there simply are not enough similarities to target. When the times comes that Facebook falls short, you are going to have to step in and add additional parameters to your search. Once you add interest targeting into your custom searches, you will open up the bag and find countless other customers. One of the nest tools in your targeting arsenal is that of detailed targeting. Through the use f detailed targeting, you are able to narrow down to specific demographics in addition to a wide variety of habits and interests. Assume for a moment that you own a ski lodge in the mountains and would like to market to young men wanting to explore the great outdoors and get a sense of adventure. For this task, you could have Facebook show your ad to single men between the ages of 22-24 who are active and live in the city. While you may not have millions or even thousands of men to market to, your ad would be laser focused. With such a detailed search the chance of getting any high unqualified leads would be minimal, thus protecting your ROI and keeping costs down low. Your final approach comes down to life-event and behavior targeting. This is a highly useful targeting aspect when it presents itself. Imagine owning a floral shop and being able to market to any individual that has a special occasion coming up. In addition, the florist would have the ability to target anniversaries or anyone who happened to be married on this day, last year. The possibilities are endless with this form of targeting. While these are the most obvious and ethical ways to target an audience there are also some other covert ways that are available to Facebook advertisers. Facebook has partnered with various data brokers, which simply means they have more information on the average user then the national government. They are tracking everything we do online including our spending habits, which can be sued in your advertising strategy. For example, if you sell or offer financial consulting services. Facebook has the ability to target people who would want to buy your services based on their past purchases. With all of the data and strategies that are available n Facebook it is becoming less risky to spend money on advertising. In fact, not taking full advantage of what Facebook has to offer is like leaving a lot of money on the table.